Are you feeling a little overwhelmed searching for luggage to meet your specific important needs? Or maybe you’ve gone a little deeper than that. And now you feel like there is an endless void of options, a bottomless pit of decisions, and you’ve fallen in only to emerge with nothing to show for it. Take a deep breath. Look no further. We got you. 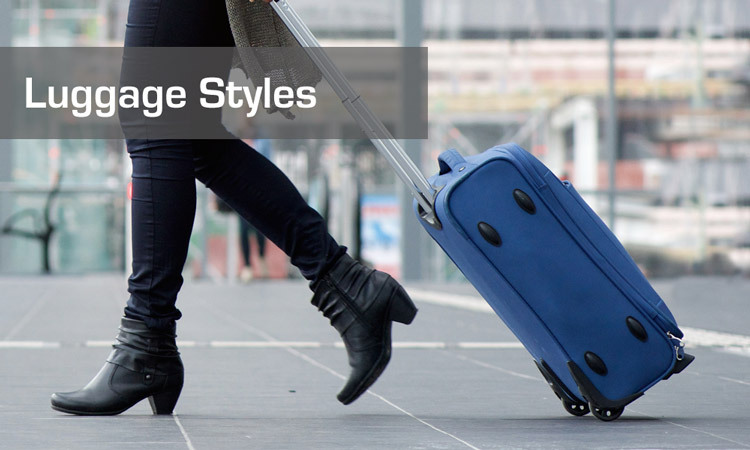 This article is a simple straight forward look at different luggage styles along with some well rated reliable recommendations. Tote bags are generally a smaller carry-on piece of luggage. They usually can be tucked right under your seat. They serve a multitude of purposes for all types of travels. These all-purpose bags are typically lightweight, while still being durable and spacious. They come in variety of affordable fabrics like cotton, canvas and nylon. For a more luxury tote some prefer to invest in a tote crafted from leather or suede. Tote bags are advantageous for travelers that have multiple items that they that need to be easily accessed at all times. Interior and exterior compartments will keep contents tidy so you can stay organized as you travel. For easily maneuverability there are many tote bags now equipped with wheels and a retractable handle. We love this practical yet lovely Delsey Underseat Tote. Suitcase are usually a larger rectangular piece of luggage that open like a book with a zipper closure. They have a long history as travel companions for carrying a variety of personal items. They come in a variety of practical sizes from 18″ to 32″. If you’re going to take a longer trip, you will probably need a good suitcase. Thanks to technology there are many suitcases on the market now that offer excellent security, convenience and practical functionality. Depending of how much you want to spend, you can find basic suitcase which are basically an empty to shell with a zipper and wheels, up to a smart suitcase with a built in GPS, phone charger and Bluetooth. Another great thing about suitcases is that they often come in sets. Sets are advantageous for families or individuals with need for multiple luggage pieces and want them all to coordinate. We love this Samsonite Omni Luggage Set which comes in multiple colors and can be purchased as individual pieces as well. 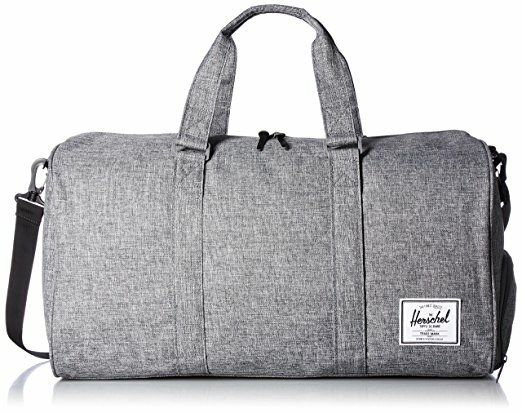 Duffel bags are perfect when you just want to throw all your stuff into one big bag and go. A classic duffel may remind you of a gym bag, or the bags military persons use. A downside to traditional duffels is that they become painful to carry within a few minutes. Thankfully though, companies have more recently introduced “travel duffels”. These are basically a duffel bag on wheels. As far as capacity and packing, the possibilities are practically endless. You really can fit a lot of gear into these because they are usually very durable and large. They are especially functional when a equipped with quality zippers and heavily-stitched handles and straps that can handle the weight of the bag even when packed full. While most duffels or more casual looking there are some more luxury duffels on the market now. You can even find some crafted from quality leather. If you’re traveling for a wedding, formal party, or business and your wardrobe consists of a few well-chosen more dressy outfits a garment bag may be the only piece of luggage you really need for a trip. A garment bag is a container of flexible material, usually used to ease transporting suits, jackets or clothing in general. Garment bags are available in a number of styles to keep your clothes clean and wrinkle free. Many are now conveniently equipped with pockets and compartments which can hold a variety of items, from clothing and shoes to chargers and laptops. 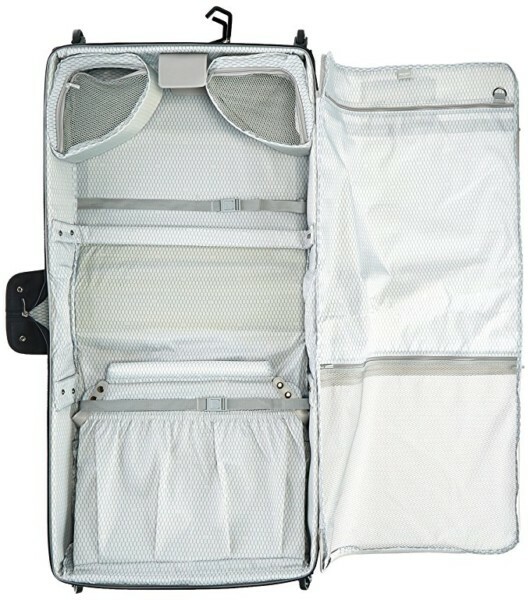 Some garment bags even come the a retractable top handle and even have wheels. If you’re a business person a garment bag is a necessary investment. We recommend this Delsey Chatillon Wheeled Garment Bag which is made with a soft durable fabric and comes with several practical features. These is an endless debate in the luggage world. At the end of the day, it’s really up to preference. Here is some information to help you weigh your options of Hardside vs Softside luggage. First, hardside luggage. It’s usually made from strong polycarbonate & aluminum materials which is stain resistant, waterproof, and lightweight. Because the hard shell, it well hard, is also can protect fragile belongings and helps to absorb shock from airport handling. This also makes them easier to clean. Many hardside have reliable built in TSA approved locks to keep your goods safe. In addition because hardside are available in printed patterns and solid colors, there is really a look for everyone. Not all hardside cases are created equailly though. Read reviews carefully. Users report cases scuffing, scratching and even cracking, which you would never worry about with a softside case. Here is one of our favorite Harside cases- Samsonite Inova Carry-On. Softside luggage is made from durable synthetic fabric materials, or natural materials like leather. Depending on the fabric they can be lightweight. A perk of softside cases is that usually have external pockets which are more more convenient than having to open the whole case. Most all softside luggage is flexible and expandable which makes it easier to pack lots of clothing, over over pack… Even though they are more difficult to clean because the soft material is more absorbent, they often show less wear and tear than their rival hardside’s material. They too come in a variety of colors and patterns, though perhaps not as many a the hardside do. 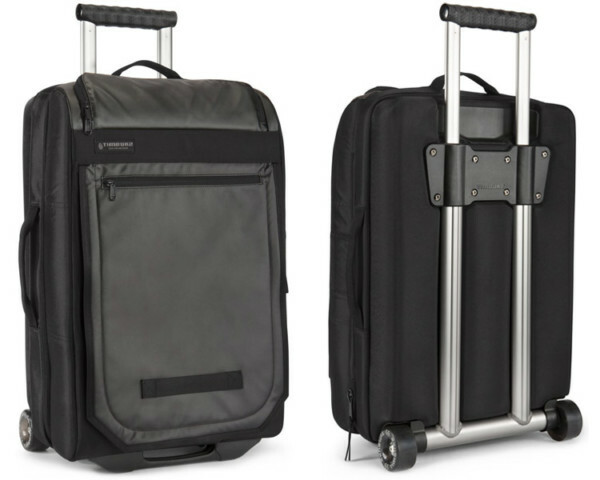 This softside Travelpro Crew 10 21″ Carry-On is a reliable and durable soft piece. Here there is not so much of a debate, most would tell you spinner wheels over roller are better. With our spinner wheels we get 360 degree maneuverability and you can push your luggage alongside, behind, push in front, or pull behind. These lead to easy maneuverability in tight aisles and crowded airports. Because spinners are usually four wheels, they are balanced so duffels, totes, purses and other small luggage can be easily stacked on top. The one downside to these spinner wheels is you better keep an eye on them, because they glide so easy, they may glide away if you are at an incline! 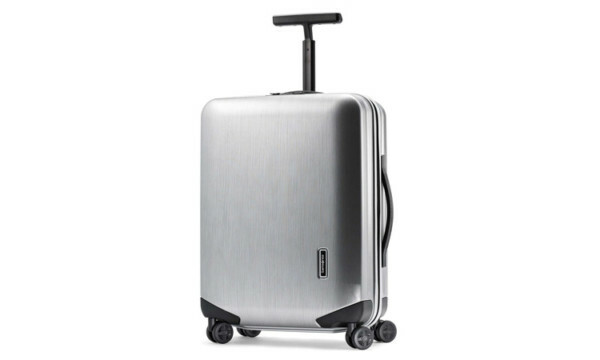 Here is one of our favorite carry-on’s with spinner wheels- Delsey Chatelet. 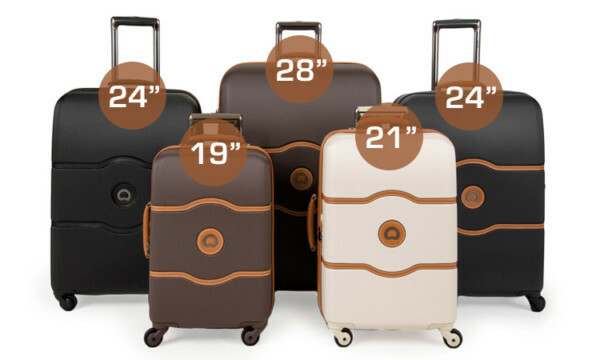 Luggage Sizes – Which To Use? Wheeled Totes: These are ideal pieces for people who are looking for a small, wheeled luggage to carry onto the plane. Most wheeled totes will fit under the seat, and are small enough to easily lift in and out of the overhead storage bins. Wheeled totes can hold a single change of clothes, books, magazines, and any other small items you would like to take with you on the plane. 18″ – 20″ Carry-On Luggage: These are considered the International carry-on sizes, as they are allowed as a carry-on for most International flights. They are ideal for trips of 1-2 days, as they have packing space for a few outfits, a pair of shoes, and toiletries. 21″ – 22″ Carry-on Luggage: These are the most popular sizes of carry-on luggage for U.S. domestic flights. Most U.S. airlines have carry on restrictions of 22″ x 14″ x 9″, or 45 linear inches. These are the ideal sizes for business travelers or weekend trips, as most pieces have sufficient packing space for a few outfits, a couple pairs of shoes, and toiletries. 23″ – 24″ Small Checked Luggage: These sizes are popular for travelers looking for a smaller, lighter option of luggage to check. There is room for 2 to 3 outfits, a couple pair of shoes, and toiletry kits. 25″ – 27″ Checked Luggage: These sizes are the most popular size of luggage to check. They are ideal for trips of 5 to 7 days, or longer, depending on how you pack. They have a large capacity for multiple outfits, shoes, and toiletries. 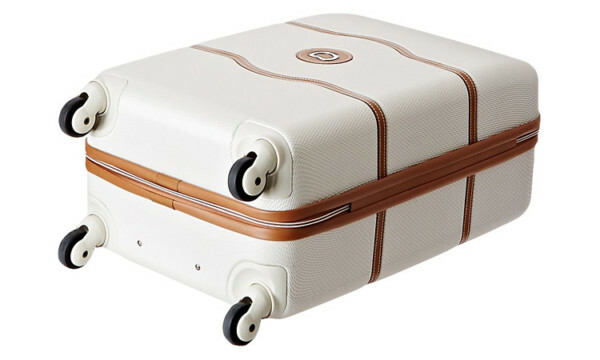 28″ – 32″ Suitcase: These are very large suitcases meant for trips exceeding a week. Due to their large size, when fully packed they can be difficult to maneuver and may exceed the 50 lbs. weight restrictions that most U.S. airlines enforce. Along with the weight restrictions, most U.S. airlines have a size restriction of 62″ linear inches and these sizes may exceed that size, especially when expanded.